We were intrigued by the title of this sale in Paris earlier this week, and found several exciting items for clients. 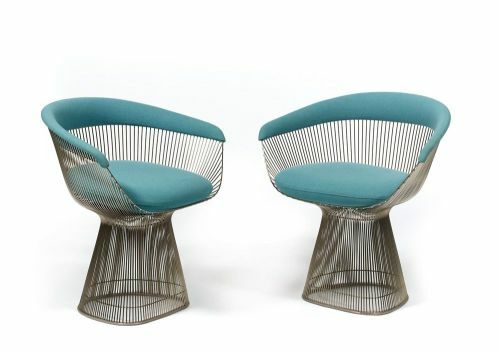 These iconic chairs in steel wire, designed in 1965 by Warren Platner have a lyrical quality, reflecting his design values: “I felt there was room for the kind of decorative, gentle, graceful design that appeared in a period style like Louis XV”. 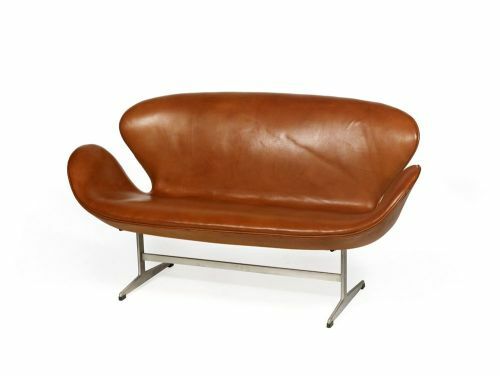 The lines of this ‘Swan’ sofa by Arne Jacobsen are supremely elegant. In production from 1964-1974, this model was revived in 2000. 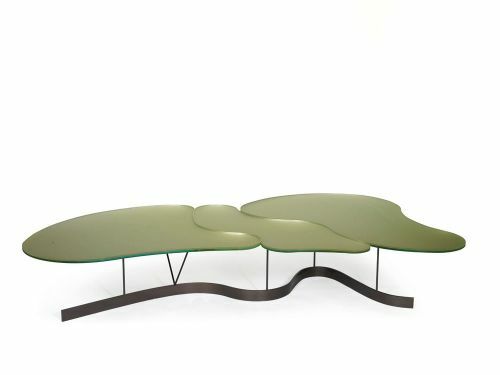 The flowing line of the base of this unique table by Bruno Moinard creates a stunning effect. We love the tone of green of the glass tabletop.